Jasper Elliott Wolfe believes in the power of communing with the Earth. She believes that by practicing presence we are reconnected with our Spirit and the source of our creation. Jasper’s greatest passion is sharing with others her love of yoga, music, the Earth, and the myriad of ways to connect with the Divine. Through this shared experience we remember who we really are and that we are not alone. We remember that we belong to the Earth and she to us. We remember that life is precious and fleeting… and we wake up to our lives in an embodied way. We wake up to love. Jasper teaches weekly classes of Slow & Sacred flow, Slow Core flow, Restorative yoga, and Yoga for Stress Relief. All of her classes are mixed level, are taught at a slow pace, incorporate props, and include alignment instruction as well as breathing exercises. Guided meditation, poetry readings, and various musical instruments and singing bowls create a unique and relaxing environment. She leads a practice that emphasizes moving at a pace that is unique and authentic for the practitioner with a focus on feeling gratitude in each and every moment. Jasper has been practicing yoga since 2002. Jasper is a Registered Yoga Teacher with the Yoga Alliance. She received yoga certification from GreenPath Yoga Studio in San Francisco, Ca. in 2006 under the guidance of Clayton Horton and David Lurrey in the style of Ashtanga, in the tradition of Pattabi Jois. She has since then studied with yoga teachers Seane Corn, Dharma Mitra, David Swenson, Rolf Gates, Leslie Kaminoff, Melissa Scott and more. Jasper co-leads the Sacred Glow Yoga Teacher Training with Melissa Scott. She is also a certified Laughter Yoga teacher and leads a community Kirtan in the Birmingham area with fellow teacher and friend, Shannon Skipper. Jasper graduated from the Birmingham School of Massage and received certifications in Deep Tissue, Neuromuscular Therapy, and Hot Stone Massage. She was also on the faculty of the Birmingham School of Massage as a teacher of Bodywork for several years; helping others on their path as massage therapy practitioners. Jasper is a Reiki, Ashiatsu, and Thai Yoga Practitioner and is on a continuous path of study in energy work and alternative healing therapies. Email Jasper. Ambassador for Off the Mat, Into the World. Haley Gillian graduated from Gadsden State with a certification in Therapeutic Massage. Licensed since 2013, Haley has become certified in Pre-Natal Massage as well as Neuromuscular Therapy. She enjoys exploring Birmingham and spending time with her family. Massage therapy is her passion and she loves her family at Conscious Body! After the first time practicing yoga in 2002, Shannon fell in love with her mat and felt like she had come home to her true self. 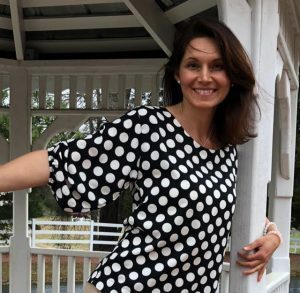 She became a Yoga Alliance certified yoga teacher in 2007 after completing her training at the Tallapoosa Center for Inner Arts in Carrollton, GA. There she studied an eclectic style of Yoga and Tai Chi with Karen Sifton and Roger Hornsby. She has experience teaching prenatal and mom & baby yoga. She is also a freelance graphic designer, artist, and aspiring musician. Shannon currently teaches Sacred Flow (a soulful heated vinyasa) and Sacred Dance (a unique yoga dance flow) at The Yoga Circle. Her classes are open to all levels, but come prepared to sweat! She believes the more you let go and allow for your own authentic movement to evolve, the more you will awaken the freedom in your body and your life. She incorporates bhakti yoga into her classes with meditation and song. She encourages you to smile through your practice, befriend your body, let your intuition guide you to a new awareness, and enjoy the gift of presence. Shannon is the founder of the Birmingham Kirtan group which meets monthly for a Kirtan/Satsang. She is also an ambassador for Off The Mat’s Yoga In Action and co-facilitates Yoga In Action programs and workshops for the Birmingham area. Shannon plans to devote time reaching out to underserved populations through the practice of yoga as part of the non-profit organization Sweet Om Alabama. As of May 2014, Shannon’s also a certified Laughter Yoga leader through Laughter Yoga Atlanta. She co-founded Just Laugh Birmingham with Jasper Elliott Wolfe and leads a Laughter Yoga Club and Laughter Yoga Workshops for studios and corporations. Email Shannon. Virginia Bunting is a Certified Holistic Life Coach, Reiki Master Practioner, and K.R.I. Certified Kundalini Yoga and Meditation teacher, who, for fifteen years, served as a Doula, Childbirth Educator, lactation educator, certified infant massage instructor and children’s meditation facilitator. She is also a Certified Laughter Yoga leader with Just Laugh Birmingham. Through coaching and energy work, Virginia now uses her skill set to create a safe environment for her clients to wake up and change their lives. Through her unique brand of compassion, wisdom, humor, and healing, she makes personal growth and healing accessible and takes you beyond the physical aspects of yoga and healing, encouraging her clients to connect with their truth. Sheri Bagwell is an Energy worker and Meditation coach. Sheri was born with the ability to feel energy and see the root causes of people’s patterns. She has the unique gift of being able to help you transmute your pain into love, help you feel more comfortable even joyous in your body and flow with life more easily. Sheri has enhanced her natural ability by training with The Emotion Code developed by Dr. Bradley Nelson DC and medical doctor, Dr. Jacob Teitelbaum who is a leader in treating stress-related diseases. Sheri has also taken countless spiritual based classes to back up her natural talents. She is certified master in two types of Reiki. Sheri has a beautiful connection and communication with source energy and helps her clients develop more trust in their own connection. Her mission is to truly empower people to know who they are and be their own healer. Learn more about Sheri and read her blog at www.livingwellinthesouth.com. Email Sheri. Freeman studied Zen for about 13 years in two schools, also taking Reiki level 1 in 2001, then took up the Hermetic tradition. After 15 years of Reiki practice, Freeman launched his second career, in healing arts (under the name Hermetic Healing Works: link hermetichealingworks.com) in 2016. Freeman’s practice is grounded in compassion and works by guided attention and intention. A session will generally include Reiki, relaxation, guided imagery, and crystal therapy. He is also a pendulum healer, a student of Ericksonian hypnotherapy, and Connected Breathwork. Freeman is a Master Teacher in the Usui/Tibetan line of Reiki, and an associate member of the International Center for Reiki Training (http://reiki.org). He has been known to teach Reiki, the Relaxation Response, and meditation. Briggita Bailey is a certified Prayer Practitioner, A Life Force Energy Healer and 200 hour Alignment-Based yoga instructor. Nature lover, gardener and lover of the endless possibilities in life. “The journey to my soul began when I was a young child growing up in Hungary. I always felt that there was more to life than people were telling me. I believe that we are all here for a special purpose. R. Daniel Walker is an LMT, E-RYT-200 Yoga Instructor specializing in Advanced Myofascial Techniques, a form of Structural Integration that he calls Manual Integrative Therapy, and Core Strength Vinyasa Yoga. He graduated from Wallace State Community College, Therapeutic Massage Program in 2016 and from Sacred Glow Yoga Teacher Training in 2014. He is currently seeking his Certification in Advanced Myofascial Technique with Til Luchau at advanced-trainings.com as well as the 300-hr Alignment Based Yoga Teacher Training with HereNowYoga.